Ara grows up, in Iota on Saratoga, wanting to be a normal little girl developing into a normal woman with a good job and happy relationship. But her fabrication heralds change and she is placed under the watchful gaze of the Sentinel, Jamie Raner. Jamie, as an operative in the Aryan Military, doesn’t just protect Ara but must also report upon her life to the military. She is afforded little privacy in her life at any level; even her dreams are watched and recorded. As matter levels rise within Iotan Space Jamie knows it may trigger the Genocide Vote, and Ara is left to shoulder that burden. Ara struggles not fully understanding why life is so difficult despite the efforts of those who seek to support her. She becomes uncomfortably aware many fear her and so turns to her first love and childhood friend, Caleb, for continued guidance. Knowledge has always been important to Ara but she finds the more knowledge she gains, the more multifaceted, tortuous and byzantine life becomes. Schooling, work and love all come at a price. Supported by strange individuals, such as the Trickster, and armed with Quadrazaads, four Chaos Seeds, she learns she must anchor those within what is known as the Lacuna; a test site. To anchor effectively Ara must come to understand her world intimately, face trials and tribulations not of her making, and endure the Alien Crucible before facing the inevitable: The resolution of the crucible will be the start of the true nature of conflict. She finds out that anyone not working towards the New Chaos Empire is considered the enemy. While Ara works to anchor from her end, Tartarus seeks to save and anchor the Chaos Brethren to the Chaos Entity; it is there that they draw their strength from. 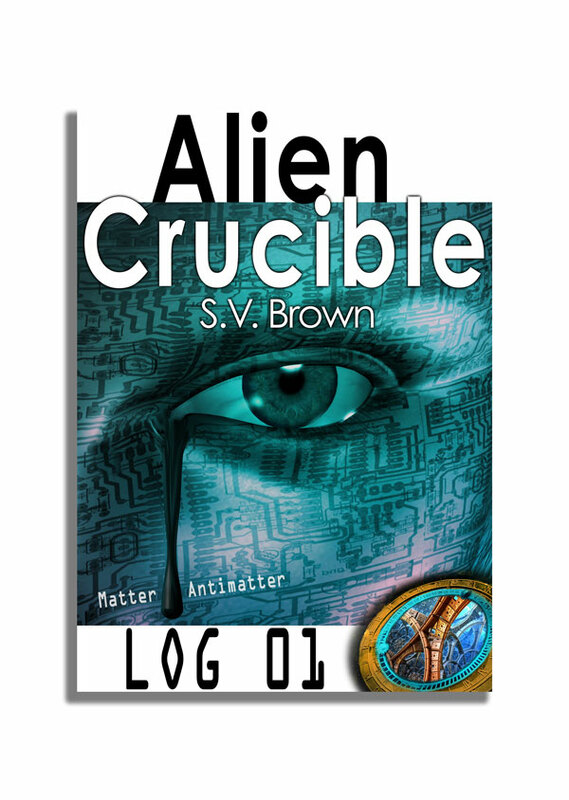 He must attempt to prevent the Alien Crucible from collapsing before his people are ready, while trying to win over Ara to their side. If they cannot form an alliance with her and she makes her stand with Nyx, they will work on corrupting or trying to kill her. The one thing Tartarus and Nyx did not plan on when signing the Dictates of the Righteous was that near the culmination of Alien Anchorage the Sable Warriors of deep space are awakened early. The warriors find the fog of war is already thick and learn hostages have been taken inside the Lacuna. Before they extract the hostages and engage with those who would perpetuate acts of terrorism they must gain intelligence which draws them in to the Alien Crucible. Order | Disorder 3 To know the thing Anastazja must become the thing. She is drawn inexplicably to Estancia and Earth as unlawful King Ross becomes genocidal. Maybe one of Monad’s creations, the Natal, hold the answers to escape and all three opposing forces try to manipulate them. A risky maneuver by Chaos Beings has roused her Sables, Zantine warriors of deep space. They awaken to investigate and it leads them unfailingly to the Alien Crucible. This log investigates and tests the dichotomous scale Order | Disorder.